Any goods or products that pose a risk to people, property and the environment are classified as dangerous goods and are assigned to different classes ranging from 1 to 9. 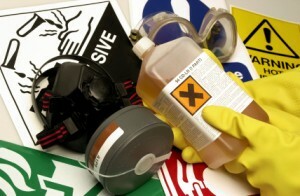 These types of goods can range from those which are highly dangerous (such as explosives, flammables and fuming acids) to everyday products such as paints, solvents and pesticides found in the home and at work. 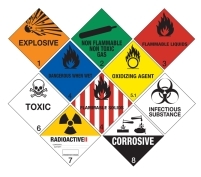 Transport of these dangerous goods via airline courier is regulated and these goods need to be packaged correctly as laid out in the various international and national regulations for each mode of transport to ensure that they are carried safely to minimise the risk of an incident.